The price you found is 24% lower than this hotel's average rate of $901/night. Greetings from the Forte Village! We would like to thank you for taking your time and share your opinion here on TripAdvisor. We are delighted that you enjoyed such a good experience during your stay at our resort. Your comments reward us for the care and attention we always deliver to our guests and your loyalty to our resort makes us very proud. We really hope that we will have the pleasure to welcoming you back soon to Forte Village. The price you found is 17% lower than this hotel's average rate of $839/night. The price you found is 18% lower than this hotel's average rate of $721/night. The price you found is 27% lower than this hotel's average rate of $2,215/night. The price you found is 21% lower than this hotel's average rate of $920/night. Hotel Il Castello is worthy of its five star rating offering a little piece of heaven within two hours flying time of the UK. It is superbly run by Marcello Spiga (Manager) and his efficient and friendly team. Marcello is always front of house (which gives you confidence as a guest) and nothing is too much trouble to make your stay relaxing.The resort has wonderful facilities including tennis, gym, go karting, excellent swimming facilities, beautiful stretch of beach and the best kids club I have ever seen. Our daughter Serafina loves it! The buffet at Il Castello is first class with a huge variety of European/Italian dishes and the hot dishes change daily so you don't have to eat the same dish twice! 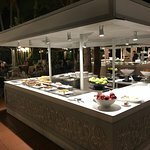 There are a lot of restaurants to choose from but we always headed for the buffet and enjoyed dinner under the stars whilst listening to the professional pianist doing his thing. A special mention must go to Giuseppe Collu who always greets you with a wonderful smile and makes you feel at home instantly. We are delighted that you enjoyed such a good experience during your stay at our resort. (We are so glad that you mostly appreciated our restaurants, our exclusive service and the extensive range of sport academies. We try to make Forte Village special so we really appreciate your comments. We would like to thank you for sharing your opinion on TripAdvisor and we really hope that we will have the pleasure to welcoming you back soon to Forte Village. We would like to thank you for taking your time and share your opinion and experiences here at Forte Village - Hotel Il Castello . We are pleased that you had a pleasant stay at the Forte Village and that you appreciated its charm and exclusivity. It is a pleasure for us to hear from you that you really enjoyed your stay, because our main objective is to provide to our guests a memorable and relaxing retreat. We hope we can exceed your expectations even more on your next visit to the Forte Village. I have stayed in the hotel Castello a number of times during the last 10 years. The service is fantastic and the staff are always very friendly. The rooms are great with very comfortable big beds. And the buffet both at breakfast and at dinner are of 5 star always. I recommend this hotel very much. Thank you for choosing Forte Village once again for your holiday and thank you also for the loyalty demonstrated. 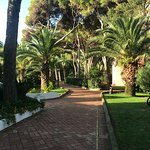 We are delighted that you enjoyed your last stay so much with us and that you mostly appreciated the attitude of our Team, your accommodation and our gastronomic offer for both breakfast and dinner. 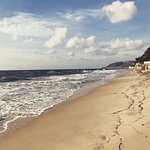 We are currently staying at Forte Village and the difference between pictures/descriptions on the website and the reality is quite spectacular! The weather hasn’t been great but we were aware of that and thought it would be our greatest challenge... we were wrong! I booked through a travel company specialising in luxury Italian holidays, and was never warned that October was end of season and that there would be a reduced offering in terms of facilities and restaurants. We arrived a few days ago and the place is dead, there are only 4 places we can go for dinner, although they are not always open each night, and all of the sports academy’s, activities etc are not on anymore. The only people we have really seen are a conference from Deloittes. Who have pretty much taken over the place. The children’s wonderland is pretty depressing. The children’s pool looks grotty, Marios play village is dated and there isn’t actually a lot to play with in each little house. Barbies house is pretty much empty, it’s very bare and looks like it’s been ransacked. Only one small corner with a house and some dolls to play with. The other pool with the aqua park is great, we have had one fun morning there and now it’s shut for two days. Not ideals by any means with two little ones. Another point to note is pool only open 10am til 12.30pm then closed til 3pm, then it’s open 3pm til 5pm. Not open very much of day considering it’s a family oreintated resort. As pool shut we went in hunt of the playground which is on all the maps, it’s appears to have vanished as we could not find it anywhere. Daughter has been to kids club this morning and she has enjoyed it, got to go on the train so atleast that’s been a plus. The food is not great. Buffet for both breakfast and dinner seem to be same limited offering each day (although we have only been here two nights so far) and not of 5 star quality. Lunch - only place open is the pizzeria, its ok but wasps everywhere. As stated above there is 21 restaurants but only 4 open now. Boutique shopping area is deserted. Only few shops open. No where to get snacks/drinks during day out with the hotel Castellio or the pizzeria. Rooms are ok, not 5 star quality. Our first room had no working air con and a severe ant problem. When we alerted staff they were quick to respond to try and deal with issue but only when pressed agreed to move us. We have moved to another similar apartment but now we can’t get the air on off! We have also came back this afternoon to no electricity. It seems the cleaners have turned it off after they have been. Staff are mostly friendly,especially in pizzeria, however some are rude and inattentive. Given the cost for the holiday and the fact that we have had to get two flights and stay overnight in a hotel between the two flight I would not come back. Have been to better 4 star hotels in Tenerife. I feel that the hotel concept is great but excecution is poor. Perhaps try and do less but do it better or reduce the cost to reflect quality. 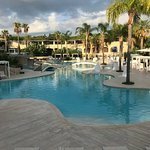 I have of course been informed by Marcello and the Team of Hotel Castello what happened during your stay and they also informed me about the actions taken in order to try to readdress your stay with us. I really hope that you had a safe and smooth journey back home and that you definitely left the resort satisfied. Please consider myself at your complete disposal for any further assistance. Fabulous! If I could give 10 stars, I would! We're just returning from a, week long stay at Hotel Castello at Forte Village Resort. Not only is the location gorgeous (right on the Sardinian coast), the food is abundant and delicious, and best if all, the staff are all local, very knowledgeable, helpful, friendly and professional. Ha e to gu e a, shout out to Sheila and Rinaldo, especially, who handled our numerous requests with patient good humour, and were instrumental in helping us return from a day trip to Cagliari when a main bridge collapsed due to recent rains. I don't think we'd have been able to get back without their quick thinking and fast response. Highly recommend!! greeting from the Team of Forte Village! Your words reward us for the care and attention we always pay to our Guests.